Since today is my birthday I thought I might share some news. Seth and I are about to go through a major….. MAJOR life change. It looks as though we are expecting, not one…. but two additions to our family (and no, they are not new little birdies). 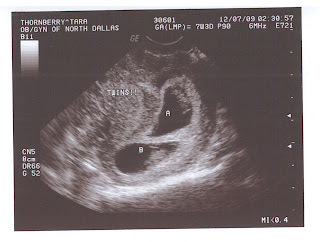 Not only are we pregnant, we've got twins!